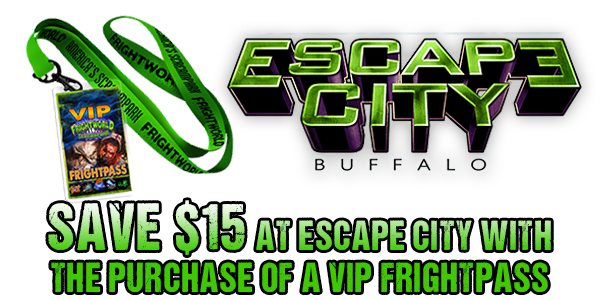 Buy Tickets for Frightworld | Buffalo's Scariest Haunted Houses! BE SURE TO VISIT OUR OTHER ATTRACTION THAT IS OPEN YEAR ROUND! PURCHASE DISCOUNT FRIGHTWORLD TICKETS AT 7 ELEVEN! 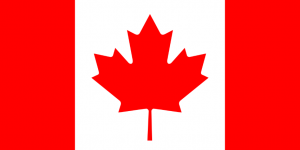 CANADIAN REDISDENTS RECIEVE A FREE UPGRADE TO A VIP FRIGHTPASS WITH THE PURCHASE OF A 5 HOUSE PASS. VALID CANADIAN ID REQUIRED. FRIGHTWORLD SUPPORTS OUR TROOPS! 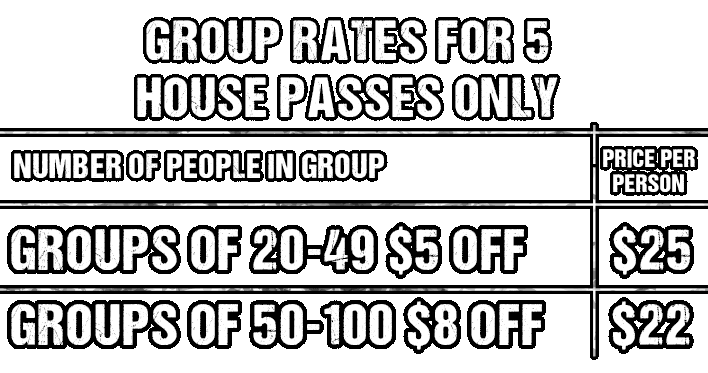 ALL MILITARY PERSONNEL RECIEVE $5 OFF A 5 HOUSE PASS OR VIP FRIGHTPASS. VALID MILITARY ID REQUIRED. 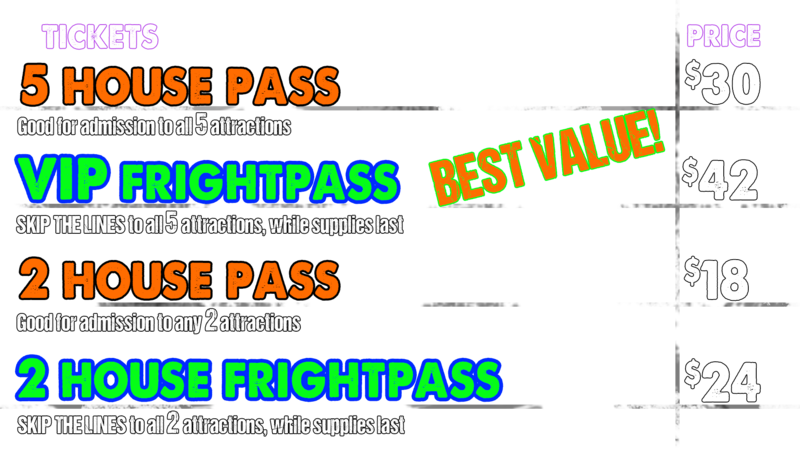 COUPONS ARE ONLY VALID FOR A 5 HOUSE PASS OR VIP FRIGHTPASS. NOT VALID ON SATURDAYS OR ANY SPECIAL EVENTS.